At risk of prescription, the first first set should be a hair shy of full-strength because, so I am told, because this gives just enough give to allow the rest to be pulled uniformally and not bow the center of the bars without sacrificing spring or tightness (which will come from the - at very first nonexistant - lateral pull across the bar rather than vertical pull across the gap. 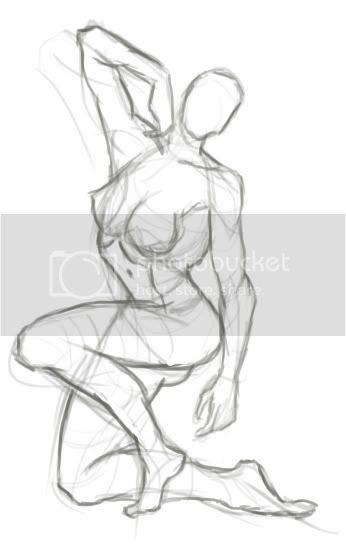 Back to anatomy, there is comfort in robotness, but too much comfort leads to a person being fat and lazy and unaccomplished. Living art by the rules is no more and no less valuable than being obese. I would not suggest the other extreme either - to only do your own thing or worse to not do anything leads to a person starving and dying. The best artists are somewhere between lean and curvy . For some general critique willows your guys are going to have some bawlin feet. for a selfproclaimed robot person, they are nicely personalized without going too far into abstraction. I figure if the muscles are big enough I'll learn what they are. When I see Hogarth's stuff I always have to think of Silver Surver involuntarily. Dunno if that says anything about his art. 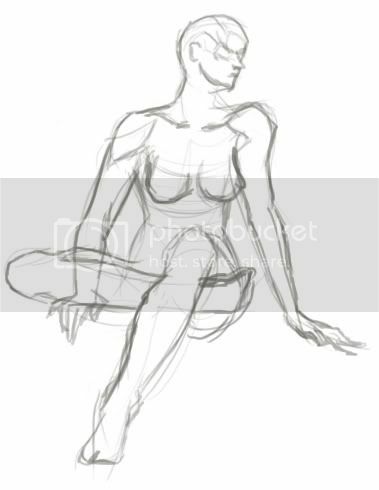 Anyway, here is one attempt at a female body and a couple faces. 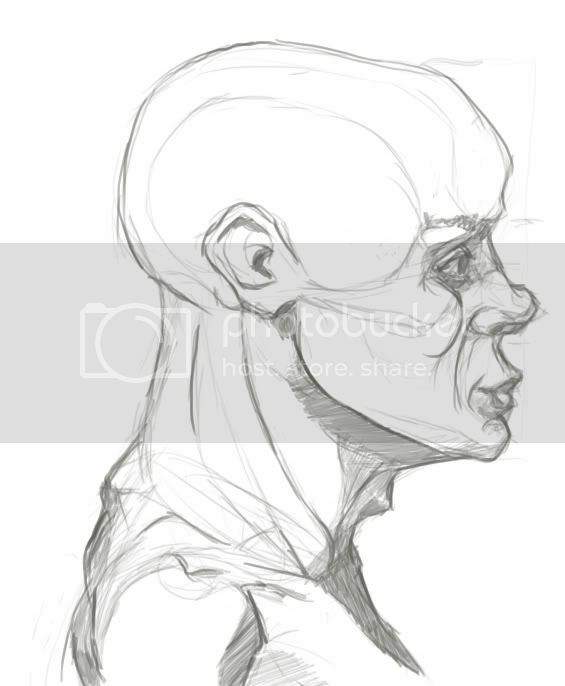 It seems like you understand a great deal about anatomy itself, however the problem you are facing is the execution. I'm not exactly the best artist, but I do build off of light and shadow. At last, I'm only 14, so, not much I can explain, since I've been only working with pixels for about 2 yrs, and hand drawings for at least 3, not caring where, or where not to start from, until quite recently. I gotta start taking advantage of this thread. Here's something I just did for about 20 minutes or so. 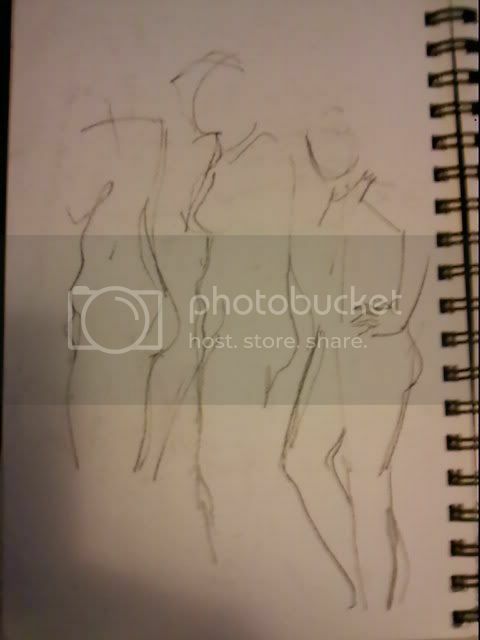 I'm completely lost when drawing legs. Joining the pelvis to the thighs I find extremely hard and I throw dimensions out the window when I go below the knees. I also can't draw feet. 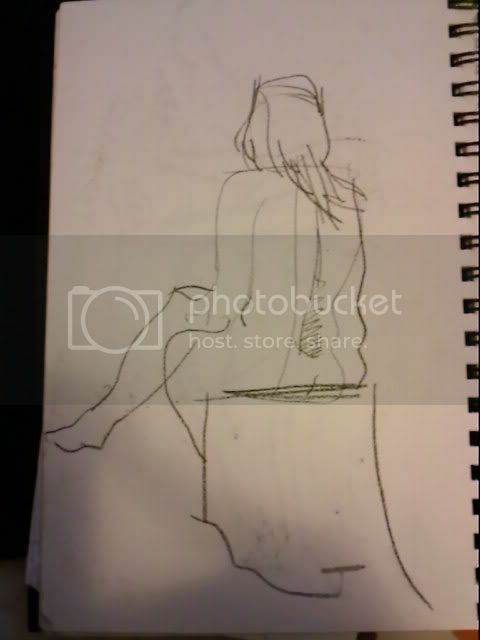 I am terrible at foreshortening (probably why I can't draw feet) and I also have trouble joining hands to wrists. Can anyone show me the volumes of the areas where I clearly don't have an idea about (eg. Legs, Forearms)? 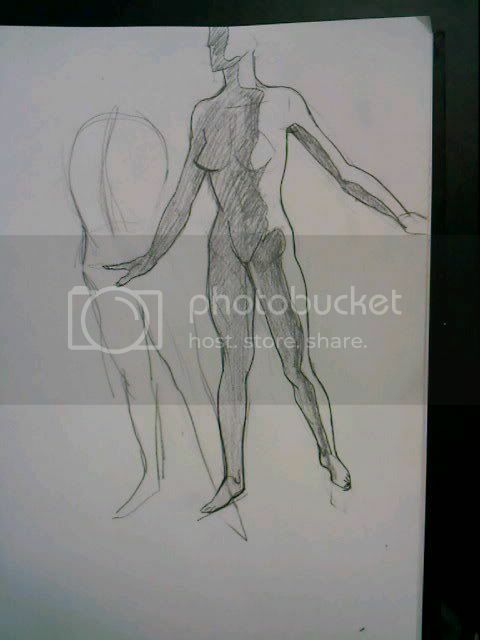 Trying to work on clearer lines, confident strokes. Succeeded a very little bit. 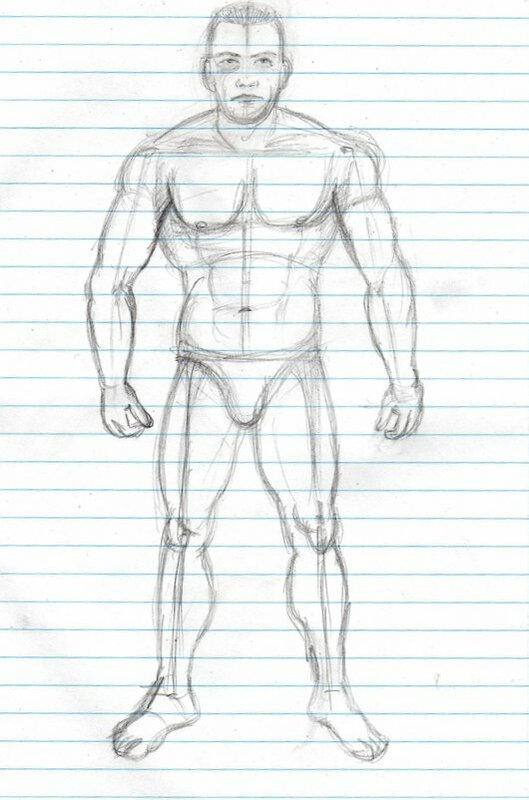 Primarily a head study, but see I need to review torso. The ear is a problem; alot of ambiguity around that area. @boojiboy: collarbone looks too flat/straight to me, making trapezoidal muscle look GIGANTIC. 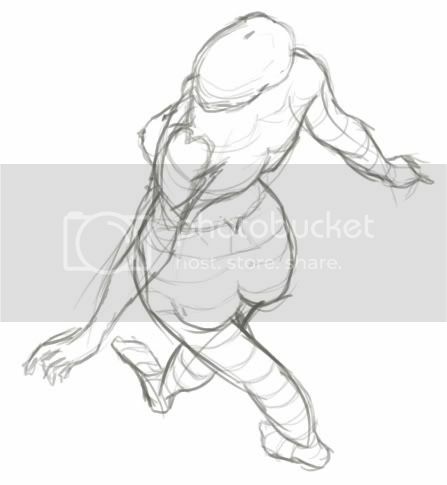 Also throwing off connection area around scapula/trapezoidal/deltoids/clavicle. Basically feels like shoulders need to come up a little bit. Or chest down. Honestly I'm not 100% sure. Pelvis is big issue, as you mention, I would really go over study of that section of the skeleton and how/where the muscles attach. EDIT: Some posemaniacs sketches. Much more confidence with these!